Here is a very old stool that I use at work. It has been painted at least 30 times in it’s life. But as you can tell, it hadn’t been redone in quite a while! I had a bit of time the other day to re-do it. I went through all of the mistints that we had in the store and this is what I came up with! There was no way I was going to get it nice and smooth and get it to look modern. So I ran with the rustic contemporary look!. 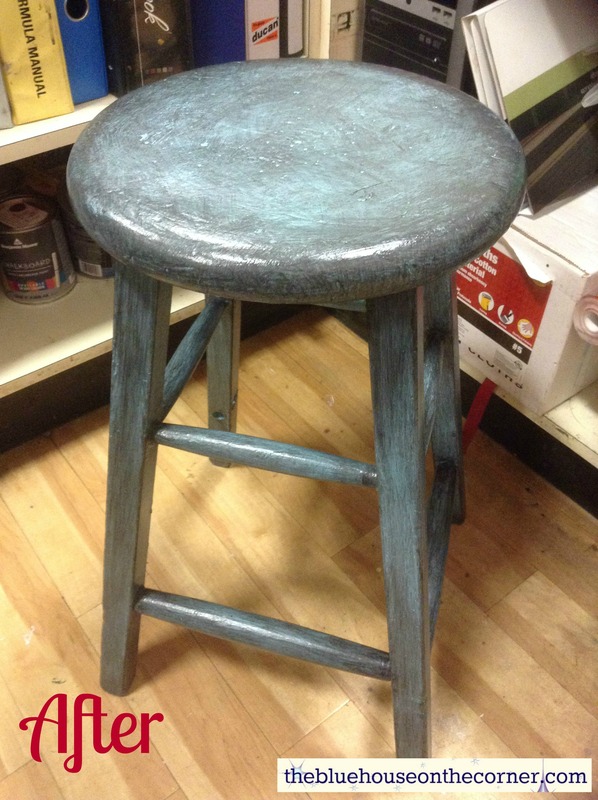 Step 1: I knew that the last layers of paint were a latex on the stool, so I did not have to prime it first. 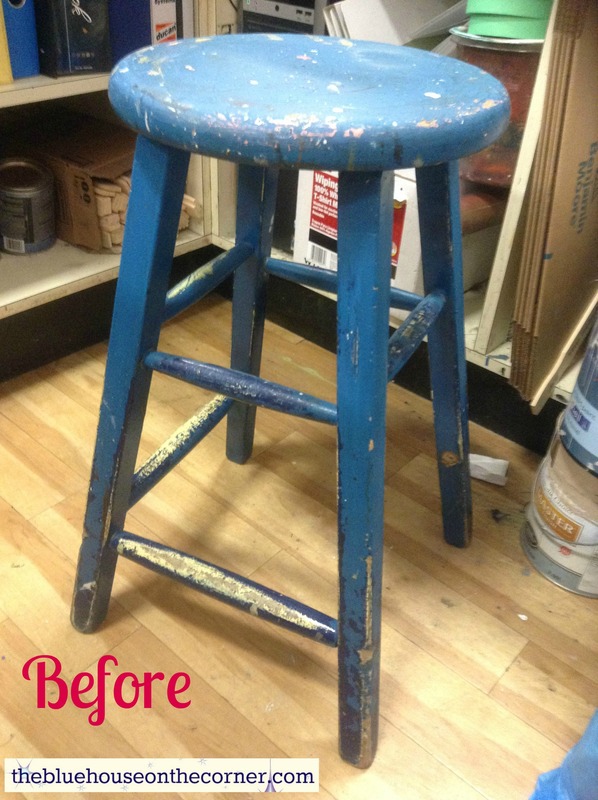 If your stool is painting with oil or wood with a clear coat, use Benjamin Moore’s Superior Primer first! Step 2: I had a mistint very close to Benjamin Moore’s 2048-50 Tropicana Cabana so I painted the entire stool with this first. Step 3: This was a first for me, but I had a mistint of Benjamin Moore’s Arborcoat Exterior semi-transparent stain in black. So I tried this! I took a rough bristle brush and start brushing the stain onto the stool in a very rough way. In some places if it looked too brushed on, I would take a dry rag and blot some of the stain off and then brush it through. Step 4: Let it dry and do it again! It wasn’t quite dark enough for my liking after the first coat of stain, so I applied another coat. I am in love with how this turned out! The colour is modern but the technique brings out more of the rustic antique look that the stool already had! My goal was to spend ZERO money, and I did! I just used paint that was laying around and created something new from something old! Now I keep thinking what else I could do in this look!